Dr Utpaul Bose is a highly experienced Consultant Forensic Psychiatrist working for South London and The Maudsley NHS Foundation Trust for the last 15 years. He has a BSc in Anthropology, Medical Degree, MSc in Mental Health Studies and Diploma in Forensic Psychiatry. He is also a Member of both the Royal College of Psychiatrists and Member of the General Medical Council. 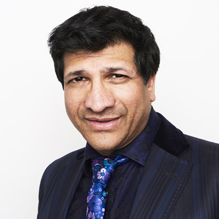 Dr Bose has over 25 years’ experience working in the NHS in both inpatient and outpatient settings. With extensive knowledge gained through practice, Dr Bose is able to complete reports for court and other organisations across ADHD, Anxiety, Depression, Personality Disorders, Post-Traumatic Stress Disorder and Treatment Recommendations, and can undertake Capacity Assessments and Forensic Risk Assessments. Alongside this, Dr Bose is one of the select few Forensic Psychiatrists in the UK who has a specialist interest in diagnosing and treating Adult ADHD, which has been increasingly linked as a contributory factor to crime and has been accepted by the courts as a mitigating factor. Dr Bose is described by his peers as hard working, enthusiastic and flexible. You don't need a GP referral to see Dr Utpaul Bose.